Are you fascinated by what differentiates you from other living things, in particular other mobile living beings that occupy similar spatial dimensions and habitats to us, i.e. other land animals? The bodily functions are similar, we ingest, defecate, reproduce, sleep, nurture, cooperate, hunt, and evade pursuit. I’ve been reading Giorgio Agamben who makes us aware of the animal in our own being. Some people think that we are animals that think and reflect, perhaps with a soul. The history of this distinction between our animal bodies and that extra that makes us human promotes some obvious contradictions according to Agamben. Not least is the religious idea of the resurrection of the body — a resurrected body in which animal functions such as procreation are unnecessary — and impossible. Heaven would soon fill up if resurrected bodies reproduced in the afterlife. So bodily resurrection comes across as the ultimate denial of our animal natures. In more contemporary reflections we find the distinction between the human and the animal in terms of language. For Heidegger, we human beings have the capacity to reflect and be aware of our own condition and that of other animals. Heidegger says that stones are worldless, the animal has an impoverished and limited world, but man forms worlds. “It is more urgent to work on these divisions, to ask in what way — within man — has man been separated from non-man, and the animal from the human, than it is to take positions on the great issues, on so-called human rights and values” (loc168). Presumably that latter (rights and values) pertain to some higher, transcendent attributes of human kind. Agamben wants us to focus on the ploys and tactics by which we human beings argue for and practice the separation of ourselves from our characteristics as animals, and the other animals with whom we keep company. Humanism places the human as the arbiter in all things, with no god above that. Man is at the pinnacle of a hierarchy variously constructed: evolutionary, taxonomic, authoritative, moral. Man is at the top and animals below that. Gods and angels are nowhere above us, but are at our behest, or our invention, if we want them. Agamben’s position has often been described as posthumanist. I also think of this as pragmatic, it starts without the presumption of a hierarchy, but assumes a heterogeneous and undifferentiated world of experience. We divide up this field for some purpose or other and in particular contexts, much of which could be described as political. At least in this book, he doesn’t work through what difference this orientation makes to our actions in the world. Nor does he relate this position to other contemporary thinking outside of the orbit of philosophy. Here’s one set of implications: We recoil in horror at news reports of people trafficking, slavery, ritualised execution, and other kinds of abuse. This is to treat a human being in ways worse than we treat animals, or the way a predatory animal treats its prey. So animals feature in the narratives we construct about human and inhuman behaviour. There’s much more to be said of course. Also see blog posts: Why cartoons have animals, Why cartoons have animals 2, Howling at the moon, What’s wrong with posthumanism, and Against empathy. Agamben, G 2004, The Open: Man and Animal. Stanford University Press, Stanford, CA. Bryan, Bradley. 2007. Book Review: The Open: Man and Animal. Law, Culture and the Humanities, (3) 3, 502-504.
de la Durantaye, Leland. 2003. The suspended substantive: On animals and men in Giorgio Agamben’s ‘The Open’. Diacritics, (33) 2, 2-9. Gustafsson, Simone. 2013. Outside of Being: Animal being in Agamben’s reading of Heidegger. Colloquy: Text Theory Critique, (25)3-20. 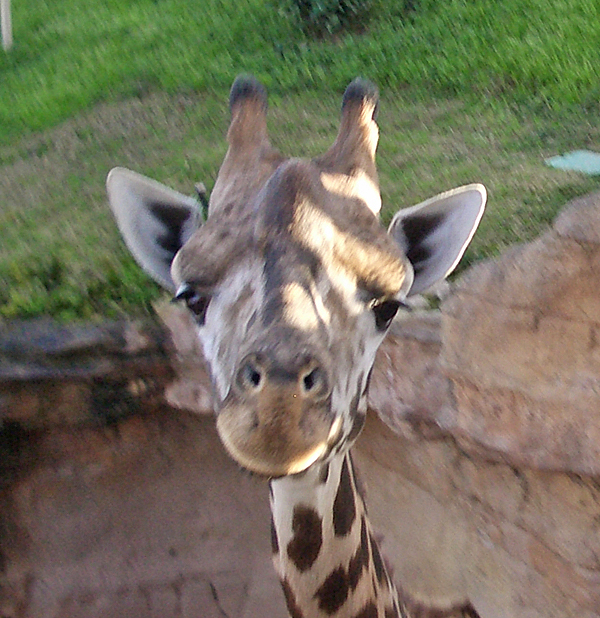 The picture above is of an African even-toed ungulate mammal taken at the Valencia zoo. I have recently tracked down Otto Koehler’s “Thinking without Words”. A couple of quotes show the ancestral nature of some human and animal thought. Koehler makes the point that animals, without the use of words, can think in this manner. Interesting. So Koehler perhaps adds weight to the view that being human is not explained adequately as the addition of language to our animal natures. I’ll ponder this.